An endodontist, commonly referred to as a ‘root canal specialist’, is a dentist who treats inflammation and disease of the tooth pulp, including infections in the jawbone caused by such disease. The pulp consists of blood vessels and nerves that are located inside a tooth; that is, inside the canals which exist within a tooth’s roots. Not many years ago, these teeth were extracted. Today, with modern dental techniques and root canal therapy, most of these teeth can be saved. Why have you been referred to an endodontist? Your dentist, after reviewing your x-rays and/or starting the root canal treatment, has decided that your needs would best be met by referring you to an endodontist due to the complexity of your particular problem. Endodontic treatment is synonymous with root canal therapy. “Endo” is the Greek word for “inside” and “odont” is Greek for “tooth.” Endodontic treatment treats the inside of the tooth. To understand endodontic treatment, it helps to know something about the anatomy of the tooth. Inside the tooth, under the white enamel and the dentin, is a soft tissue called the pulp. The pulp contains blood vessels, nerves, and connective tissue and creates the surrounding hard tissues of the tooth during development. The pulp is important during a tooth’s growth and development. However, once a tooth is fully mature it can survive. What's the benefit of endodontic therapy? It saves a tooth or teeth, which would be extracted otherwise. Although the pulp is removed, the treated tooth remains functional: There is no real substitute for your own teeth, which are more effective for chewing and biting than artificial teeth. Why did my dentist refer me to you? What is an Endodontist? Your dentist has referred you to our office to help assure you obtain the best treatment possible. 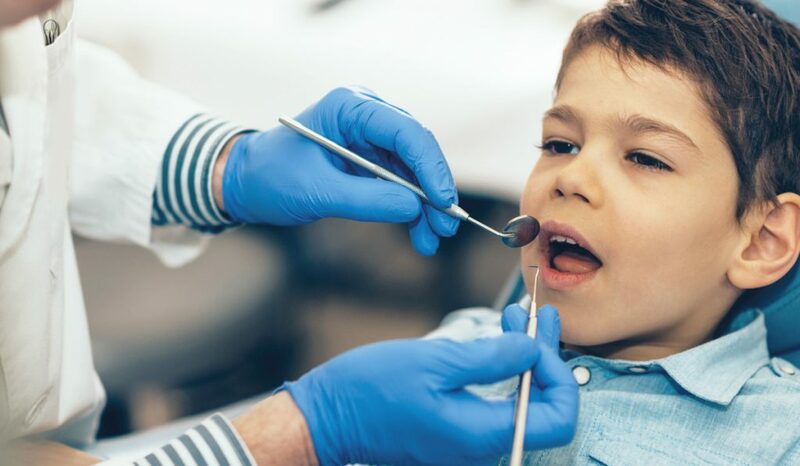 When problems occur within your tooth they may be more complicated and require specialized procedures and equipment which are not typically provided by your primary dentist. At Alliance Dental Specialists, we have the specialized equipment needed to perform the procedures successfully. Our dentists are certified Endodontists. This means they have additional years of specialized training in treating endodontic conditions. Their expertise allows them to provide you with the best in diagnosis, treatment, and care. They are experienced at finding the cause of oral and facial pain that has been difficult to diagnose. Endodontic treatment is necessary when the pulp, the soft tissue inside the root canal, becomes inflamed or infected. The inflammation or infection can have a variety of causes: deep decay, repeated dental procedures on the tooth, or a crack or chip in the tooth. In addition, an injury to a tooth may cause pulp damage even if the tooth has no visible chips or cracks. If pulp inflammation or infection is left untreated, it can cause pain or lead to an abscess. What are the signs of needing endodontic treatment? Signs to look for include pain, prolonged sensitivity to heat or cold, tenderness to touch and chewing, discolouration of the tooth, and swelling, drainage and tenderness in the lymph nodes as well as nearby bone and gingival tissues. Sometimes, however, there are no symptoms. Many endodontic procedures are performed to relieve the pain of toothaches caused by pulp inflammation or infection. With modern techniques and anesthetics, our patients report that they are comfortable during the procedure. For the first few days after treatment, your tooth may feel sensitive, especially if there was pain or infection before the procedure. This discomfort can be relieved with over-the-counter or prescription medications. Follow your endodontist’s instructions carefully. Your tooth may continue to feel slightly different from your other teeth for some time after your endodontic treatment is completed. However, if you have severe pain or pressure or pain that lasts more than a few days, call our office. Feeling nervous about the procedure? Consider sedation options. You should not chew or bite on the treated tooth until you have had it restored by your dentist. The unrestored tooth is susceptible to fracture. You should see your dentist to have your tooth restored accordingly. A full crown may be recommended. Most endodontically treated teeth last as long as other natural teeth. In a few cases, a tooth that has undergone endodontic treatment does not heal or the pain continues. Occasionally, the tooth may become painful or diseased months or even years after successful treatment. Often when this occurs, redoing the endodontic procedure can save the tooth. Once the dental pulp is irreversibly damaged, the only alternative to a root canal is a tooth extraction. But with an extraction it is possible that the adjacent teeth will shift, interfering with biting and chewing unless the tooth is replaced by an implant, bridge, or partial denture. Shifting can also lead to periodontal disease. Replacement of the extracted tooth with an implant, bridge, or partial denture often costs more than root canal treatment and permanent restoration. Why would you need endodontic surgery (an apicoectomy)? A root canal is usually all that is needed to save teeth with injured pulp from extraction. Unfortunately, sometimes this non-surgical procedure will not be sufficient enough to heal the tooth, so your endodontist will recommend surgery. Endodontic surgery can be used to locate fractures or hidden canals that do not appear on x-rays but still manifest pain in the tooth. Damaged root surfaces or the surrounding bone may also be treated with this procedure. This is one of the most common surgeries done to save damaged teeth. This simple surgical procedure starts with an incision made in the gum tissue to expose the bone and surrounding inflamed tissue. Then damaged tissue is removed along with the end of the root tip. A root-end filling is placed to prevent reinfection of the root and the gum is sutured. Over a period of months, the bone will naturally heal itself around the root, restoring full function. While the incision heals, there may be some slight swelling or discomfort. This is normal for any surgical procedure. To alleviate any discomfort, an appropriate pain medication will be recommended. If you have pain that does not respond to medication, please call our office. With the appropriate care, your teeth that have had endodontic treatment should last as long as other natural teeth. Sometimes, a tooth that has received treatment may fail to heal or pain may continue to exist. In some cases, the pain may occur months or years after treatment. If so, root canal retreatment may be needed. Improper healing may be caused by: Curved or narrow canals that were not treated during the initial treatment. Complicated canals that went undetected during the initial treatment. In some cases, new problems can influence a tooth that was successfully treated: New decay can expose a root canal filling material, causing infection. A cracked or loose filling or crown can expose the tooth to new infection. Retreatment includes reopening your tooth to gain access to the root canal filling material. The Endodontist will then clean your canals and carefully examine the inside of the tooth. Once cleaned, the canals will be sealed and a temporary filling will be placed in the tooth. Following treatment, you will need to return to your regular dentist as soon as possible in order to have a new crown or restoration placed on the tooth to restore full functionality. Retreatment cases are more difficult, more time consuming and therefore more costly than initial root canal cases.